If it's been 6 months since you've spoken with your web designer, we're here to fill that gap. Let Byte deep think your web strategy and help gain strategic and technical insight. Make better online business choices today. Call (612) 204-4921 or complete the form to discuss how we can convert your passion into online success. Understand how your visitors behave so you can make intelligent web updates to improve usability and conversion. Better analyze and understand your web traffic. Make critical decisions for improved performance. Improve conversion of visitors with specially optimized landing pages. Even learn about advanced A/B split testing techniques. Have your HTML coding, load-time, and security reviewed to ensure you're not at risk. We can evaluate, problem-solve, and make written recommendations with measurable results. Capture more detailed information about your users so you re-market and retain more qualified customers. High-level strategies and solutions can be shared with your current web design team so they can execute the plan. It's simple. Hire us hourly or purchase pre-paid blocks of expert time. Call us (612) 204-4921 to discuss with a web expert. 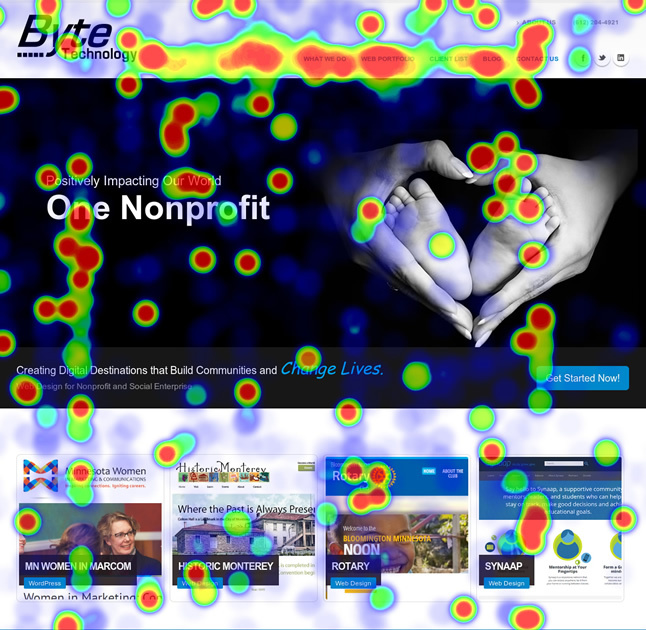 Want an strategic evaluation of your website? Call (612) 204-4921 to request an appointment. Weekly blog updates featuring posts on nonprofit strategy and web technology.